Expecting idea VoLTE in December update! Volte was flawed from the start It should be part of the standard and all this support bs wouldn't be required. 5G looks much the same. Voice calling isn't a priority. I purchase Nokia 7.1 (TA-1097) date 07.12.2018 and update pie 9 with December 2018 security patch but not support with Idea Volte service. 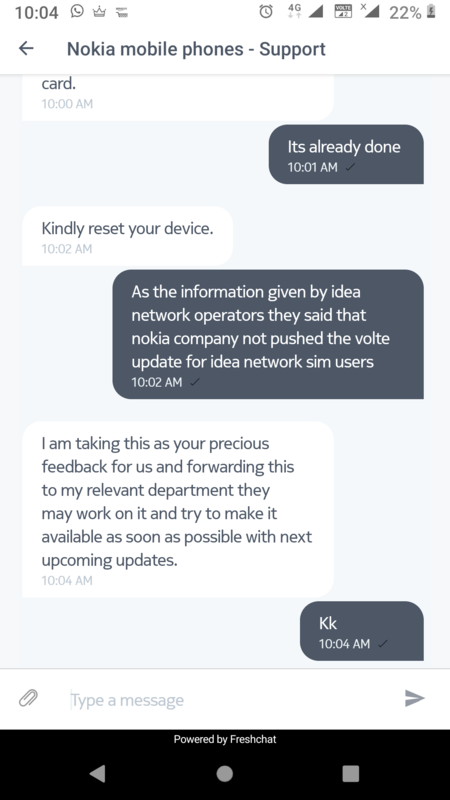 Please tell me when Give update with Idea Volte Support ?